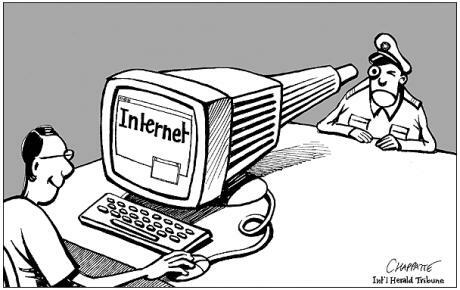 What the Heck is Right to Privacy? I was listening to music on the web recently when I felt a sudden jolt that someone could be snooping on me. Through some mass metadata collection effort, they were making a list of all the music I listen to in order to make a character sketch of me. It was a rather odd feeling that rose inside of me. Not that I was listening to anything out of this world. Being online, of course is exposing oneself. On another thought, just think of how the mobile phone is like your personal address all wrapped up with information about who you are. I think technology’s reach into our lives needs to be framed within the context of both its potential and what it is taking away, and not simply hailed as the harbinger of progress. Social media is not going away anytime soon whether you like it or not. It’s now the staple food of the Net, multiplying on a daily basis. While it’s virtually impossible to jump on every social media junket out there fact is you can ignore the phenomenon at your own peril especially if you’re in trying to reach huge volumes of people at the lowest cost possible. The caveat though is with social media platforms getting clogged by the day, it’s becoming harder to be noticed or get your voice heard. To rise above the fray requires astuteness, creativity, hard work, playfulness, consistency and user sensitivity. Ultimately, the content you produce is the currency that will define your success in the social media universe. Content is the lynchpin to cut through the noise. To help with framing your content, remember the principle of Five Ws and one H. But you need to add a B. to that, that is, short for budget. That content needs to be on target and to the point. It does not magically come out of thin air, you need budget for it and devote time to producing it. Attention spans are short-lived in the social media space. Only highly-engaging, interesting, funny, thought-provoking content will attract audiences and provoke interaction with a brand, issue or cause. But it’s always to say it. Often times, sharing on social media is self-serving; after all, social media platforms tend to promote narcissism. If you want to get more value out of the medium especially for marketing or promoting a cause, you’ll have to be adopt a more nuanced approach. You’ve to cut all the narcissistic crap and put your audience first: informative, engaging, and shareable content that is relevant to a user’s location will be a winner. Understanding user location will drive greater ROI in social media efforts. That’s why it’s important for your content to speak directly to a specific target audience. “Understanding customers’ location patterns will help companies better predict the behavior of their users, thus a chance to market to them in the right place at the right time,” says Kevin Alansky, CMO at SocialRadar. Micro videos have great engagement power if executed properly. People like video. But it has to tell a good story. Other visual tools such as images and infographics have potential to increase engagement. Because of the ephemeral nature of social media, it’s important to adopt a constant and consistent strategy. This will help to build rapport with target audiences. Otherwise you risk becoming a victim of out of sight, out of mind. In the social media world, for you to matter, you’ve to keep showing up. Real engagement takes time and attention on a daily basis. Most important, don’t forget to measure and report on your efforts: it’s what will tell you whether your are succeeding or not. Harare, Zimbabwe – Once again, social media and mobile telephony makes the news for breaking the news. Early Tuesday, social networks such as Facebook and Twitter, were abuzz with news of Retired General Solomon Mujuru’s death. Mujuru, who was 62, died in a fire accident at his home. Social networks carried vital information to Zimbabweans both locally and abroad ahead of traditional news outlets. Wikipedia, the free online encyclopedia, had by mid-morning updated its profile on Mujuru to indicate that he had died. If anything, this proves that social networks and the mobile have indeed come to Zimbabwe in a big way, and will increasingly become a source of local news developments. The news went viral as people shared news via their mobiles phones and on social media platforms. By mid-morning, the national broadcaster, Zimbabwe Broadcasting Corporation, had not yet carried news of Mujuru’s death, prompting some people to question its news-gathering approach. With technology and news in the digital age spreading information so quickly, the broadcast network was rather slow to fill the information gap. Regardless, the news spread like wildfire across the twittersphere and of course on to Facebook, with many Zimbabweans expressing shock, commenting and sharing the sad news. Reporting on Mujuru’s death confirms that conventional news media in Zimbabwe have to position themselves appropriately in relation to the social networks and mobile phones to report news. However, even though people heard the news of Mujuru’s death on social networks, they still wanted the information to be verified. Twitter, Facebook, and other social networks encourage people to speculate. As much as they can be a source of news, social networks can be a repository for false or misleading reports. What is required is for conventional news outlets to leverage on the power of social networks without compromising traditional journalism principles such as accuracy, brevity, objectivity and fairness. In the face of social networks’ ubiquitous distribution of news that maybe false or true, traditional news outlets still have a key role to play in providing investigation and context into issues. 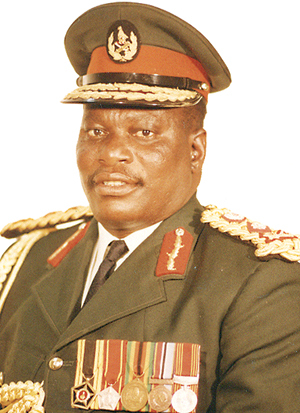 Solomon Mujuru, also known as Rex Nhongo (May 1, 1949 – August 16, 2011) was a Zimbabwean military officer and politician who led Robert Mugabe‘s guerrilla forces during the Rhodesian Bush War. In post-independence Zimbabwe, he went on to become army chief before leaving government service in 1995. After leaving his post in the Zimbabwe National Army, he got into politics becoming Member of Parliament for Chikomba on a Zanu PF ticket. He was generally regarded as one of the most feared men in Zimbabwe. His wife, Joyce Mujuru, became Vice-President of Zimbabwe in 2004. Are Social Network Followers A Mere Fallacy? Because social networks are largely fickle, it’s very difficult to tell how much influence you have on people that like or follow your postings. Just like individuals, businesses and non-profit organizations across the world have jumped onto the social media bandwagon all with the aim of influencing in an already information overloaded universe. According to the study, influence is not gained spontaneously or accidentally, but through concerted effort such as limiting tweets to a single topic. This is poignant: what this means is that rapid updating of content on social networks does not always translate to influence. Often times such postings go unnoticed and make little to no impact. Posting links after links is as spammy as sending emails after emails for link exchange. Social media is about engagement, just like we do in real life. Another thought is that social media ought to be fun, and thereby evolve organically. However when you wan to add value or when your intention is to seek to influence than you have to be aware of the challenges associated with using social media. The research states that in order to gain and maintain influence, users need to keep great personal involvement. As social media guru, Brian Solis notes, the path to engagement is strenuous, uncharted, and anything but easy. “Everything begins with understanding the magnitude of the gap and what it is that people want, are missing or could benefit from in order to bring both ends toward the middle. No matter how hard we try, we just can’t build a customer-centric organization if we do not know what it is people value,” says Solis. ” Social media are your keys to unlocking the 5I’s of engagement to develop more informed and meaningful programs: 1. Intelligence – Learn about needs, wants, values, challenges; 2. Insight – Find the “aha’s” to identify gaps; 3. Ideation – Inspire new ideas for engagement, communication, new products/services, change; 4. Interaction – Engage…don’t just publish, bring your mission to life; 5. Influence – Influence behavior and in the process, become an influencer,” he adds. According to Solis, social media doesn’t have to be void of “fun”; it must offer value and usefulness to be successful.